As you might know, there are many Muramasa blades where one of the two character for “Muramasa” (村正) was removed or altered. In most cases the character for “Mura” was removed and, for example, the character “hiro” or “mune” was added underneath “Masa” to obtain “Masahiro” (正広) or “Masamune” (正宗) respectively. This practice is called kaisan/kaizan (改鏨, lit. “change of chiselling´s”) or kaizan (改竄, lit. “to altger, to falsify, to fake”) and I want to demonstrate it with the help of concrete examples. But beforehand, let me introduce the reasons for this practice, namely as described in my Legends and Stories around the Japanese Sword 2. What is well known in the sword world is that blades by Muramasa were considered to be cursed or unlucky by the Tokugawa family. So in the following and before we come to the kaisan examples I would like to shed a little more light on the circumstances and introduce the various cases which were the basis for this superstition. It all started with Tokugawa Ieyasu´s grandfather, Matsudaira Kiyoyasu (松平清康, 1511-1535), the 7th generation of the Mikawa-Matsudaira line (三河松平) and lord of Okazaki Castle (岡崎城). The arch rivals of the Matsudaira were the Oda (織田) of neighbouring Owari province and so, in Tenbun four (天文, 1535), Kiyoyasu decided to attack Moriyama Castle (守山城) which was held by Oda Nobumitsu (織田信光, 1516-1556). When the Matsudaira army of about 10.000 men set off, a rumour started to circulate that Abe Sadayoshi (阿部定吉, 1505-1549) – a retainer of the Matsudaira – was secretly communicating with the enemy. Kiyoyasu did not listen to these rumours but Sadayoshi tried to prove his loyalty and called for his son Yashichirô Masatoyo (弥七郎正豊, ?-1535). It was also assumed that Sadayoshi feared that Kiyoyasu had already sent a squad to execute him and so he gave his son the order: “As a sign of my loyalty it would be best if you kill me to dispose of this matter once and for all!” Masatoyo was not able to get a wink of sleep after receiving even the written order from his father. When morning finally broke he heard neighing horses and thought the bailiffs were faster than him and that the execution was already in progress. He jumped out of his bed, grabbed his sword lying next to his cushion and started running so that he was even able to somehow fulfil his father’s wishes and to protect the honour of the family. On his way to Sadayoshi´s room he came across Kiyoyasu and drew his sword as in trance: “If you had trusted my father, then he would have stayed alive!” Instantly he delivered a blow towards Kiyoyasu and the latter yelled: “Masatoyo, have you turned completely mad? !” The strike severed his earlobe. When Kiyoyasu turned around to escape the situation he was fatally hit by Masatoyo´s second blow. With a smooth and clean cut his blade entered Kiyoyasu´s right shoulder and left the body at the left hip. Upon this Masatoyo was killed by Kiyoyasu´s companion Uemura Ujiaki (植村氏明, 1520-1552). In the course of the investigations on this case it was found out that Masatoyo’s blade was a work of Muramasa. It was an oversized ô-katana with a nagasa of 81,8 cm. This incident is one of the earliest known written accounts which mentions the supreme sharpness of Muramasa´s blades. Extant works from the 1st generation Muramasa date from about the Bunmei (文明, 1469-1487) to the Eishô era (永正, 1504-1521). His year of birth and death is unknown but the 1535 incident took place either shortly after his death or even during his lifetime.Incidentally, the oldest extant dating of a Muramasa blade is from the first year of Bunki (文亀, 1501). Well, the misfortunes of the Matsudaira family connected to Muramasa blades continued with Kiyoyasu´s son Hirotada (松平広忠, 1526-1549). On a balmy spring night he was woken up by the vibrations of the steps in the hall that he felt on his cushion. He opened his eyes and was able to catch a glimpse of a shadow. Immediately he grabbed his sword and shouted: “Scoundrel, stop!” When he heard more steps and tried to run in that direction he noticed that he had no more control of his legs. He looked down and recognized in fear that his clothes were blood-soaked. Hirotada was able to follow the figure into the garden. At that time, the aforementioned Uemura Ujiaki was on guard duty on the veranda. “Stop that man!”, was Hirotada´s order. After a moment of shock realising that his lord was in danger he drew his sword and chased after the man and killed him. The dead body was examined and they saw that he had only one eye, which was actually a good starting point for further investigations. It turned out that the man was a certain Iwamatsu Yasuke (岩松八弥) and that he was obviously completely drunk that evening. These were so to speak mitigating circumstances but some of Hirotada´s retainers said that he was an assassin sent by the enemy and that the intoxication was part of the plan to obscure the backgrounds. But the high level of alcohol had probably saved Hirotada´s life. However, Iwamatsu was a retainer of the Matsudaira who had lost an eye in battle and who was known for his ferocity. He also had a remarkable list of taken heads. When they removed the handle from his sword – it was a wakizashi – the signature “Muramasa” was revealed. The misfortunes with the Muramasa blades also passed on to Hirotada´s son Tokugawa Ieyasu. After his father’s death, the seven years old Ieyasu – his name then was Matsudaira Takechiyo (松平竹千代) – was sent as a hostage to the Imagawa family (今川), who were military governors of Suruga province and the arch rivals of the Matsudaira in terms of supremacy in that area. One day, using the kozuka of his katana, he injured himself. The cut was not that deep but unnaturally painful. He cleaned the blood from the blade and could not believe his eyes: It was signed “Muramasa.” So his grandfather was killed by a Muramasa sword, his father almost, and now it was his turn. Ieyasu strongly believed that this was no coincidence and this became firmly fixed in his mind. Years later Ieyasu married Tsukiyama-dono (築山殿, 1542-1579) to strengthen the bond between the Matsudaira and the Iwamoto. Tsukiyama-dono was the daughter of the Iwagawa-retainer Sekiguchi Chikanaga (関口親永, 1518-1562) and the younger sister of Imagawa Yoshimoto (今川義元, 1519-1560). But when Ieyasu engaged in an alliance with the Imagawa’s arch rivals, the Oda, the family of his wife was not particularly happy. By the way, Ieyasu needed the Oda to fight against the Takeda (武田). In the chaos of the war back then, Oda Nobunaga raised the suspicion that Tsukiyama-dono and her first son with Ieyasu, Matsudaira Nobuyasu (松平信康, 1559-1579), were in cat hoods with the Takeda. As a “logical” consequence and in order not to endanger the alliance with Nobunaga, Ieyasu ordered the execution of Tsukiyama-dono and the ritual suicide (seppuku, 切腹) of his son Nobuyasu. Tsukiyama-dono was executed by Ieyasu´s retainer Nakano Shigemasa (野中重政) on the 29th day of the eighth month of Tenshô seven. The time for Nobuyasu came somewhat later, on the 15th day of the ninth month of that year. His second (kaishaku, 介錯) was his close friend Hanzô Moritsuna (服部半蔵守綱), but when he raised his sword he burst into tears. So the Imagawa-samurai Amagata Michioki (天方通興), who was actually the official witness of the ceremony, stood in. In this function, he was only armed with a wakizashi at that moment and, have a guess, the blade was a Muramasa! This strengthened Ieyasu’s paranoia: His grandfather, his father, himself and his son were either killed or injured by Muramasa blades. So he called for his chamberlain and, according to transmission, ordered that works of this smith should disappear from the face of earth once and for all. After Sekigahara, the victorious side of the Tokugawa made a full investigation of the battle in order to carry out the correct rewards and punishments. In one of these investigations, the deeds of Oda Nagataka (織田長孝, ?-1606) were assessed. Nagataka was the son of Nobunaga´s brother, the famous tea master Oda Urakusai Nagamasu (織田有楽斎 長益, 1548-1622). In a battle Nagataka had killed the enemy commander Toda Shigemasa (戸田重政), namely in close combat by entirely piercing his helmet with a yari. 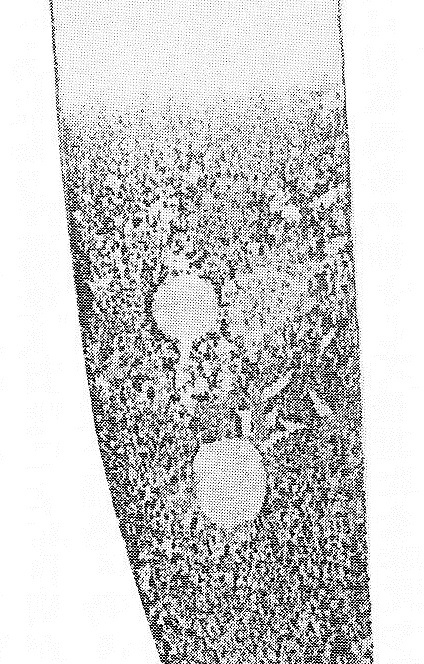 The yari remained completely intact and was shown upon request to Ieyasu. “A truly masterly spear”, he said, but he dropped it and cut his hand. “Ha! Must be a Muramasa”, Ieyasu said jokingly and the present Urakusai replied with a serious face: “Yes, it is indeed a work of Muramasa.” “You know that blades by that smith are unlucky for the Tokugawa, don’t you!” “If so, I will never ever wear a sword from Muramasa again”, promised Urakusai, broke the shaft of the spear into two halves and threw it aside. Incidentally, another transmission says that Nagataka cut through the shaft of the yari with his wakizashi. But the misfortunes with Muramasa blades continued even after Ieyasu´s death. Tokugawa Tadanaga (徳川忠長, 1606-1633) for example, the younger brother of the third Tokugawa-shôgun Iemitsu (徳川家光, 1604-1651), committed suicide with a Muramasa-tantô. But not out of mysterious or unexplainable reasons. Already in the eighth year of Kan´ei (寛永, 1631) he was placed under house arrest because of improper behaviour – he had killed a (according to other transmissions several) vassal(s). One year later he spread unfounded rumours concerning the then punishment of Katô Tadahiro (加藤忠広, 1601-1651) by the bakufu. For this, all his land was confiscated and the Tokugawa government suggested that he should commit seppuku. On the evening of the sixth day of the twelfth month of Kan´ei ten (1633) he ordered his page to bring sake and prepare dinner. When the latter returned to the chamber of his lord he saw him sitting completely dressed in white and leaning forward a bit. But when he took a closer look he saw that the white of his dress was mixed with red. He came closer and realised that Tadanaga was dead and that his Muramasa-tantō was stuck halfway in his throat. As indicated before, Ieyasu placed a quasi “Muramasa ban” but it seems that this was not so strictly monitored by the bakufu. Even in the list of Ieyasu´s estate, the Sunpu-owakemono (駿府御分物), we find a Muramasa blade and in the sword chronicles of the Mito-Tokugawa family we find two katana and three yari by this smith. Another example. The Kyôto sword polisher Imamura Yukimasa (今村幸政) kept record of all the blades he had inspected and polished. In this Rekikan-kenshi (暦観剣志) protocol we find, for the Bunka era (文化, 1804-1818) alone, ten Muramasa blades given to him for a new polish. That means it was actually not that strictly forbidden to own or carry around Muramasa blades. But we can safely assume that they did not like to see an ally or a close retainer wearing a Muramasa sword because things might turn against them because of their “harmful power.” It is also known that the Tokugawa did not accept a Muramasa as an appropriate sword present. So if you were owning a signed Muramasa in feudal times and wanted to avoid all potential hassle with the Tokugawa family, you either sold the sword or had the signature removed or altered. And now we are back at the practice of kaisan. At blade No 1, the top character for “Mura” was “brutally” removed by hammering, and at blade No 2, the top character for “Mura” was subtly removed, the area was adjusted to the surrounding patina, and the character for “mune” was added below to get the mei “Masamune.” It is of course easier to remove the upper character and add another one below the lower, second one but we also know of kaisan measures to get “Muratada” (村忠), “Muramune” (村宗), or even “Hiromasa” (広正). Approach number 1, i.e. just removing one character and leave the mei as it is, was the more common one but the question is now, why then not remove the entire signature? Some assume that removing the entire signature was quasi only a last resort, but when we bear in mind how ruthlessly signatures were removed over the centuries, I doubt this approach. That means if you had a signed blade of a smith who was considered let´s say “difficult” by the bakufu authorities and others had removed far more “unspectacular” signatures without any hesitation, it would be odd “to do everything” just to keep a “difficult” signature. Well, Muramasa was and is known for executing his characters in a very peculiar manner (see picture 4). And that means when just one character was left after kaisan, an appraiser, polisher, or person familiar with swords would have had no problems bringing in line the workmanship of the blade and the peculiar character for “Mura” or “masa” and recognize that he is handling a Muramasa. So maybe removing just one character was a kind of compromise, i.e. deleting the “difficult” name on the tang but preserving everything necessary to judge the blade easily as shôshin Muramasa. But the practice of kaisan did not only concern Muramasa blades. Another example is the signature “Echizen no Kuni Shimosaka Sadatsugu” (越前国下坂貞次). In Japanese, characters of the place “Shimosaka” (下坂) can also be read as kudari-zaka what means “decline, decay, ruin” and so on. That means for a native, the mei (越前国下坂) might read “Echizen province is going down the tubes.” So for example, signatures were changed from “Echizen no Kuni Shimosaka Sadatsugu” (越前国下坂貞次) to “Echizen no Kuni-jû Minamoto Sadatsugu” (越前国住源貞次), i.e. 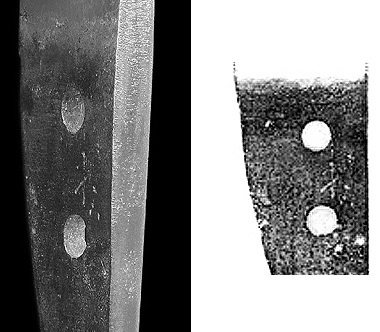 the “Shimosaka” (下坂) part was enlarged with some chisellings to get “jû Minamoto” (住源) (see picture 5). And signatures like “Echizen-jû Shimosaka”, often added by Echizen smiths on the ura side of the tang, were sometimes changed to “Echizen-jû Masasaka” (越前住正坂) or the last two characters were removed to leave only “Echizen-jû”. Picture 5: mei “Echizen no Kuni Shimosaka Sadatsugu” altered via kaisan to “Echizen no Kuni-jû Minamoto Sadatsugu”. Picture 6: Here “Echizen-jû Shimosaka” was altered to “Echizen-jû Nakamura” (越前住仲村). But please note that kaisan are not considered as gimei. Swords with such signatures get papers and the signature does not have to be removed, i.e. kaisan-mei are not considered as wrong but as altered signatures and are explicitly mentioned in the paper (see picture 7). Tanobe sensei says that a good way to detect kaisan is to look lengthwise at a signature, i.e. with the tip of the tang not pointing down but to the right or left. He describes it as altered parts seem so to “hang/float somehow above the tang” and don´t align with the rest of the mei. 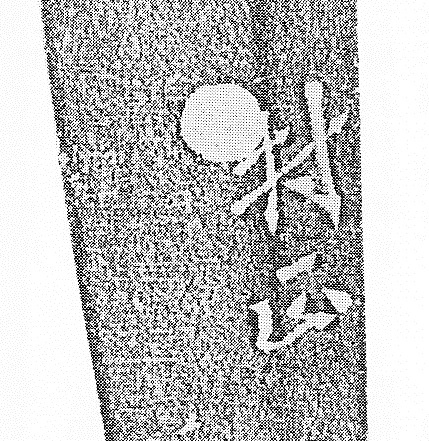 Picture 8: Paper which points out that the date signature “Tenshô” (天正) was altered via kaisan to get “Eishô” (永正) to make the blade seem older.